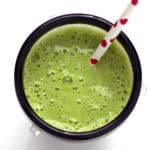 This simple tropical green smoothie is a naturally sweet way to sneak some greens into your diet. This tropical smoothie is great for a grab and go breakfast. It’s got, frozen pineapple and mango chunks, ripe banana, fresh spinach, and milk. This healthy portable breakfast can be made in minutes, perfect for the busiest mornings! This tropical smoothie is great for a grab and go breakfast. It's got, frozen pineapple and mango chunks, ripe banana, fresh spinach, and milk. 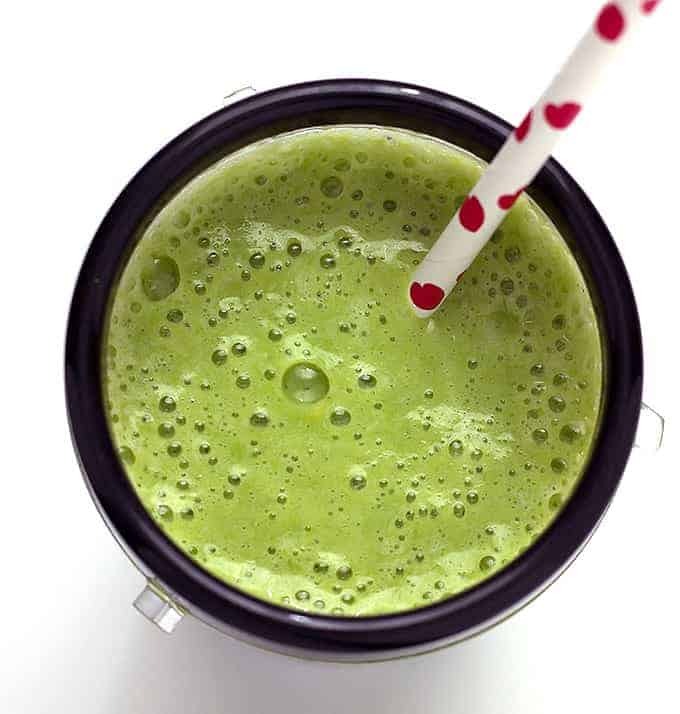 Add the spinach and milk to a blender. Blend until the spinach is well broken down. Add the banana, frozen mango, and frozen pineapple. Blend until smooth. Totally my kind of smoothie! Love how healthy and refreshing this is! This is my go-to smoothie recipe in the morning when I have no idea what to have for breakfast! So simple and delicious! This smoothie is so good! My kids love it too.